Looking for the Best Roofing Contractors Near Me? 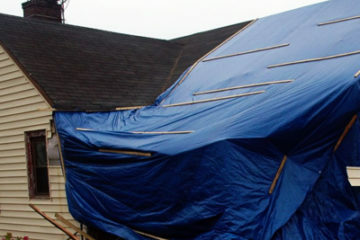 Sometimes, weather-related disasters strike our area, Mother Nature does not give you a choice whether or not to deal with a roof leak immediately. For those inopportune times with damaged shingles and broken skylights. I wouldn't normally spend the time to give a review. But my experience with John Beal was over and above what I would normally expect. It all started when my John Beal roof Specialist, Bill first knocked on my door. He was extremely friendly and seemed to want to help me with a decision rather than trying to sell me. After I had decided which way I wanted to go, the whole process went very smoothly. Bill was in constant contact with me during the installation and even after. I couldn't have been happier with the way in which I was treated. We highly recommend Bill and the John Beal team !! 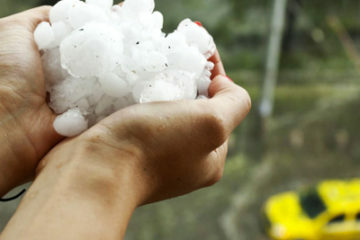 We hired John Beal Inc. recently to replace our hail damaged roof. Couldn't be any happier with the job they did. The contractors were very respectful and completed the work in a timely manner. They also did an excellent job of cleaning up around our home. I would recommend John Beal to anyone in the area. Furthermore, our sale representative did a wonderful job of explaining how the process works, how the insurance reimbursements work, and he also noticed a few things our adjustor missed during his visit. Ask for Bill when scheduling your estimate from John Beal Roofing. As homeowners that live in Ballwin and experienced the hailstorm in April 2014, we needed a new roof. After calling several roofing companies, we chose John Beal. From Nate showing us the roofing options and products they had, to Greg walking us through the insurance claim, it was a seamless transaction. Thanks to you for helping with such as big an investment to our home. Also, thank you to Nate and Greg and the company. John Beal Roofing did a fine job on our new roof. They completed the work expeditiously and all personnel were very well versed on their product. Outclassed the competition by providing a superior product for the price. The sales rep, Greg , was very knowledgable and straight-forward. Ashley, of the office staff, was very concienious in assisting us, as was Greg, Rich, the Project Manager, and his crew of installers were very fast and very thorough, and were very courteous overall. We are very satisfied with the quality of their work, and would recommend the company to others. Very impressed with the overall result this company provides, especially after trying to deal with other roofing contractors, who cannot deliver a superior product for the money, nor could they complete the work in as timely a fashion as Beal. Our mission at John Beal Roofing is to provide our residential and commercial customers with top-quality roofing repairs and replacements. All while doing it for the VERY best price. Our employees are trained experts, and provide outstanding customer service from start to finish. From the initial inspection through job completion, we focus on satisfying our customers with excellent workmanship and value. So we make it our business to continue to set the standard in quality and customer service excellence for each and every job.